Enjoy the breezy by strolling around the old city of Phra Nakhon area. This is where you’ll find classic buildings, historical temples, and charming little shops with a perfect mix of old and new. For those of you who are new to Phra Nakhon, just read on to find 5 recommended spots from Grab Thumbs Up. Traveling around with ease, no need to study the roads beforehand or plan your parking spots. Just use “Rent” and anywhere is easily accessible. Save time and also save your energy to travel more ! The discount is applicable for Rent. Limited redemption. T&C apply. Step back into the past at Sané Café & Workshop Studio, a charming café serving traditional Thai desserts and drinks with a Thai twist to help battle the heat of Khaosan area. If that isn’t special enough, Sane’ also offers workshops on Thai desserts with classes ranging from everyday menus as well as court specialties only few people have actually seen. 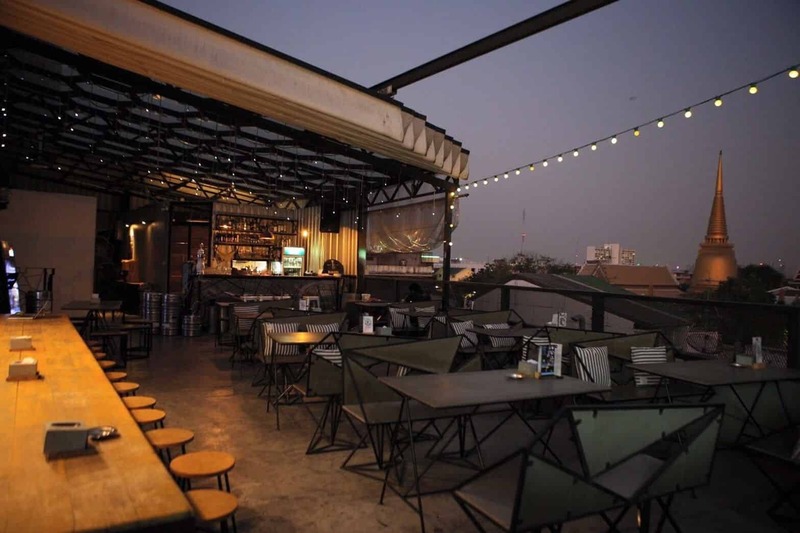 Treat yourself to some good vibes and more at At-Mosphere Rooftop Café, Banglamphu’s secret bar with an unbelievably serene scene complemented by the view of the majestic Phu Khao Thong and busy Khaosan Road. Fill up your tummy with unique Thai-fusion dishes while unwinding with live music, and we’re sure this will be your night to remember. Tackle a dull day with a visit to FAVOUR CAFÉ, one of Tha Maharaj’s favorite spots where you’ll get to have everything. 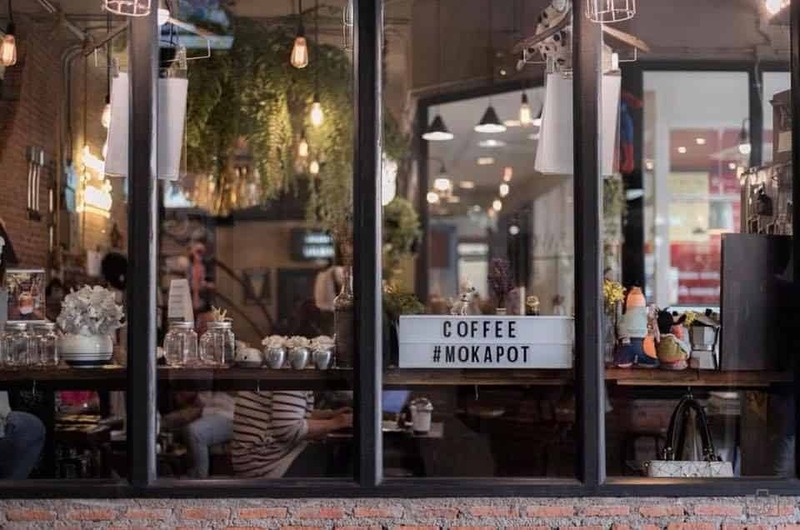 Inside this cozy café are a lifestyle shop with cute clothes, tons of knickknacks to offer countless Instagram opportunities, as well as yummy homemade desserts and beverages; all to make a relaxing and perfect time truly achievable. 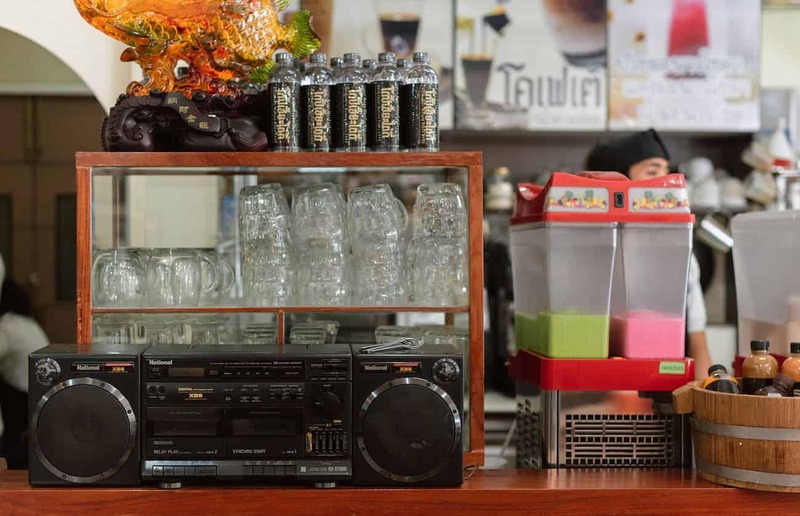 Wondering what Bangkok’s coffee culture was like back in 1952? Well, wonder no more. Get your answer and a number of great bites at Kope HyaTaiKee, the very epitome of a hangout spot half a century ago. 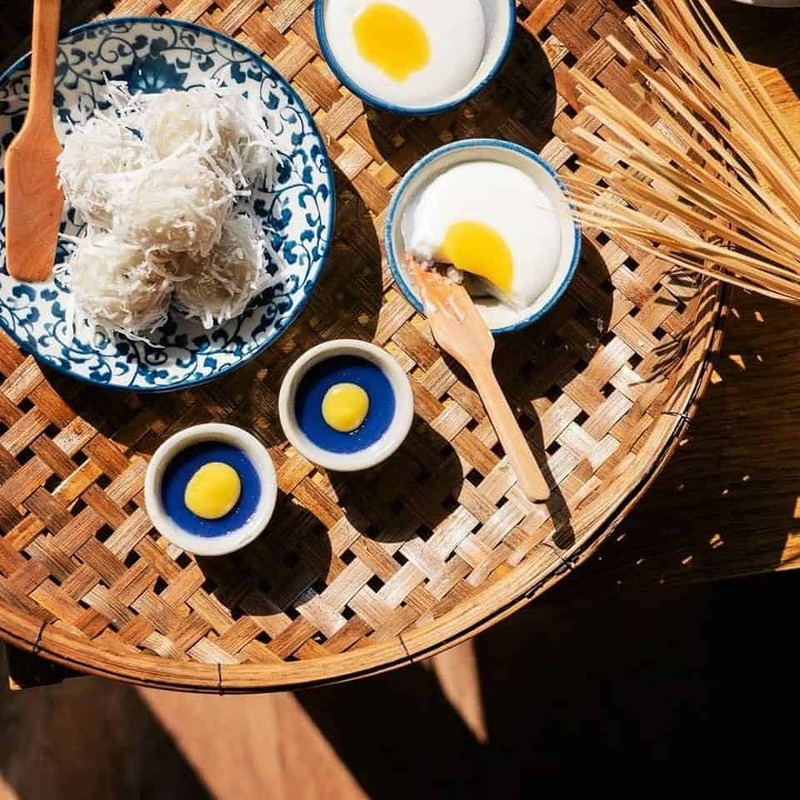 Here you’ll get to enjoy old-timey dishes like the toppings-loaded Pan-Fried Egg, Oliang drink; and also some new ones like the Tea Latte with Cheese. How about something fresh? 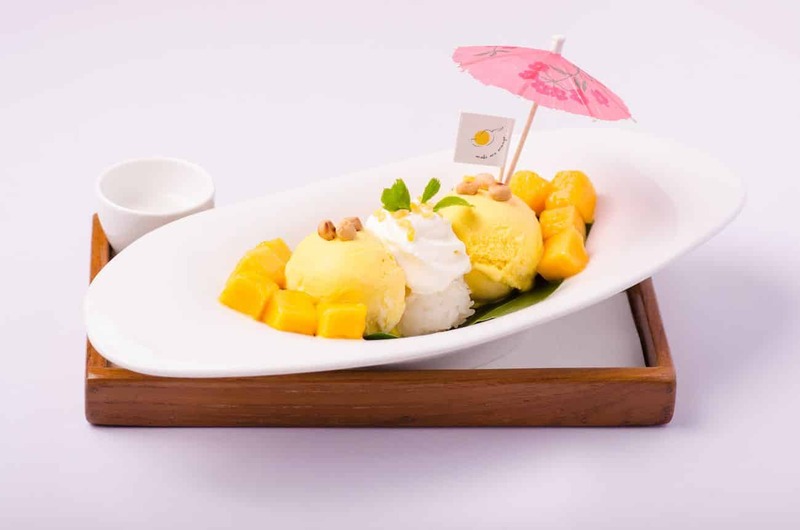 At Make Me Mango, you’ll get to fuel up with something sweet and tangy in various forms: Mango with Sticky Rice, Mango Bingsu, Mango Sundae, or even Mango-topped Toast. This “Mango Café” also boasts other fruity selections within its cozy vibe. So get ready and dig in!